At the heart of the indictments are allegations that Stone endeavored to pass messages to the head of Wikileaks, Julian Assange through a middleman, then obstructed Mueller’s investigation into those particular contacts. The indictment identifies two associates: A political commentator (Person 1), and a radio-host (Person 2), who Stone supposedly asked to pass information to Assange. Assange has been living inside of the Ecuadorian embassy as since 2012. He is a political prisoner. Stone is a well-known political operative inside of Republican party. He and Trump have known each other for close to 40 years now. The indictment of Stone marks special counsel Mueller’s most significant move to date against an associate of Trump. 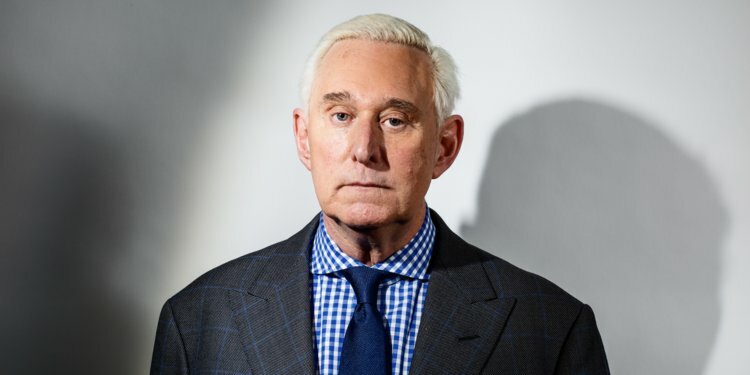 Stone has also publicly acknowledged that he had been in communication with the hacker known by the online handle Guccifer 2.0., a hacker who hacked into the Democratic National Committee’s computer network and leaked its secret documents to the media. Deep state operatives consider Guccifer 2.0 as merely a front for the SVR RF (Russian Intelligence). Stone is scheduled to appear at a federal courthouse at 11 AM ET on Friday in Fort Lauderdale, Florida.